Metro Morning food guide Suresh Doss visits A-One Catering in Mississauga where the filling is perfect and the spice is right, he says. When I asked Suki Chatha to expand on her obsession for samosas, she hesitated for a moment. The lively lady, who has been making samosas for over 45 years, couldn't remember the exact moment she fell in love with the iconic Indian street snack. "Everyone loves samosas in India. I just love samosas and love making them," she said, bursting into laughter. Chatha is the owner of A-One Catering. Patrons from all over the province make the trek to the industrial complex on Tranmere Drive in Mississauga to buy boxes of Chatha's samosas. My first introduction to A-One was years ago. After travelling to the U.S. with a friend, I remember having a bad in-flight meal on the trip back. When we landed, my friend promised to take me to a nearby snack place to rid any remnants of that bad airplane meal. I remember the lineup was nearly out the door. 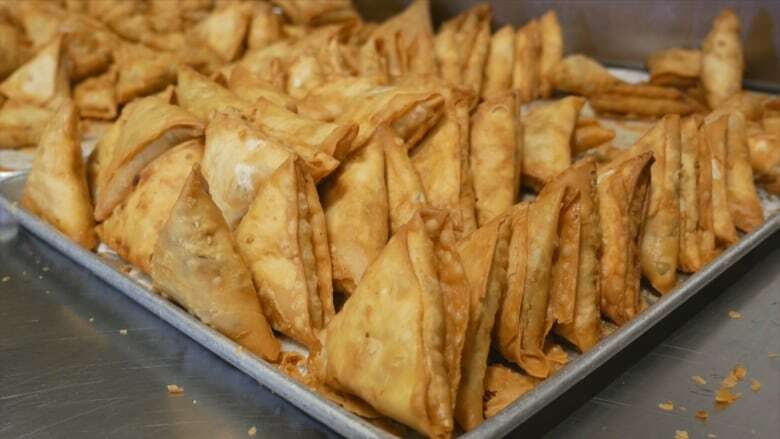 People weren't ordering one or two samosas — it was by the dozen. For the first time, I witnessed a cult-like obsession over something as simple as fried dough stuffed with a meat or veggie filling. But after I had the samosa, I quickly realized why: it was the near perfect ratio of pastry to filling, and the filling had a formidable amount of spice. During a recent visit, the person in front of me drove in from London, Ont., to buy over 150 samosas. When I asked if it was for a restaurant, he chuckled: "No, no restaurant. This is for personal consumption. And it will probably last us a week until we have to drive back for more." Samosas can be found far and wide in the Greater Toronto Area. Even most grocery chains carry them, stowed away in the freezer section. But in my personal experience, many of the varieties you find are bland, perfunctory versions of a handmade samosa. The ubiquitous samosa comes in many different shapes and sizes. Each corner of India has its own signature samosa, which is distinguished by the size of the samosa (big or small), thickness of the pastry (flaky thin or bread-like) and the type of filling. In New Delhi, don't be surprised to find samosas filled with noodles, pasta or chocolate. 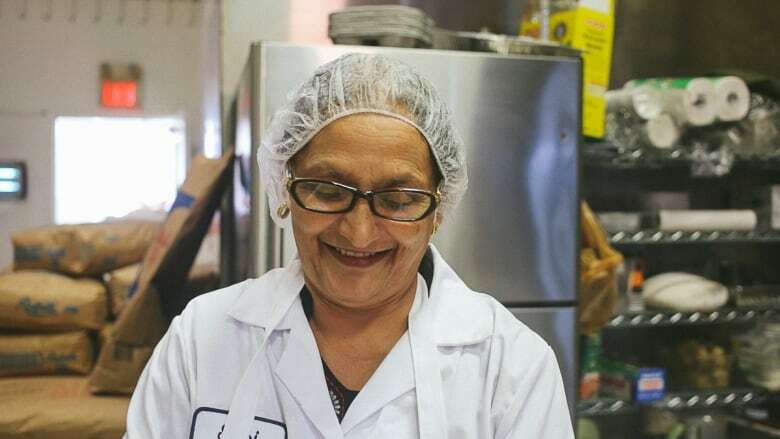 Chatha's samosas are made Gujarati-style: crispy, neatly folded triangular shells — that Chatha and her team make by hand daily — stuffed with one of four different house mixtures: potato, chicken, beef, or cheese and peas. The filling is what some places skimp out on, making samosas with thick, bread-like dough with very little inside. I find that A-One's samosas have the right ratio and the right level of spice in the filling. 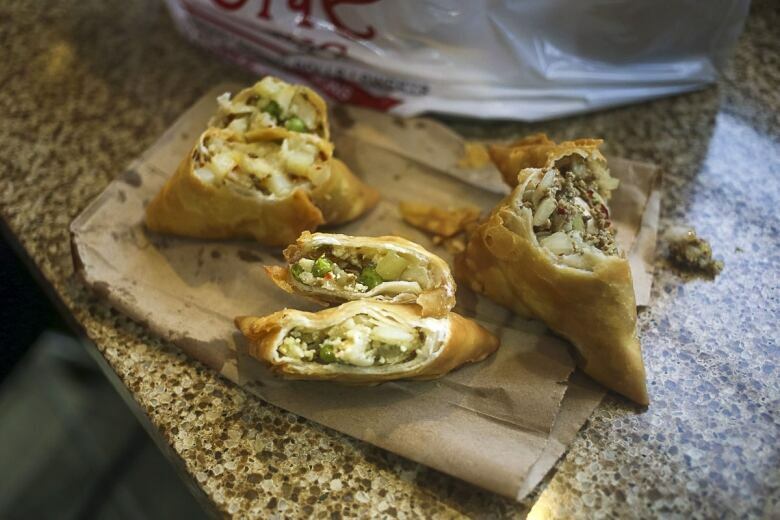 Chatha refers to them as "English-style samosas," relating it to her time growing up in England. "When I was first learning to make samosas, I wanted to perfect them. My samosas are different because I first bake the chapati before stuffing it and then I deep fry it," she said. 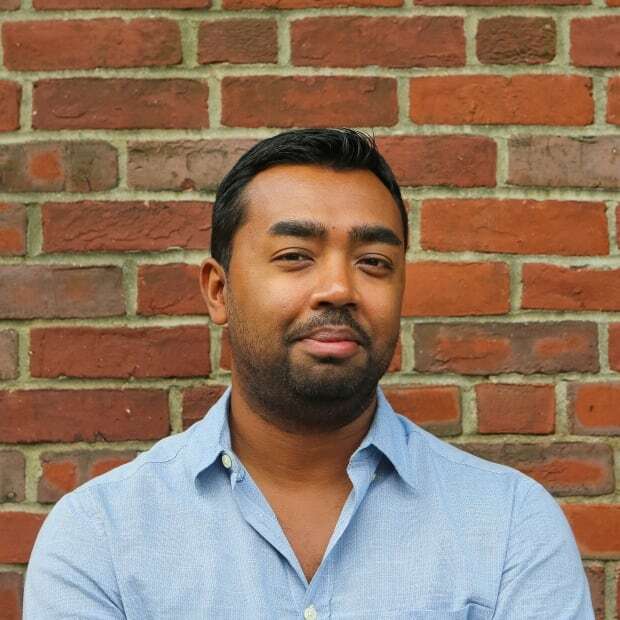 Chatha ran a small samosa shop in England before moving to Canada in the early '90s. 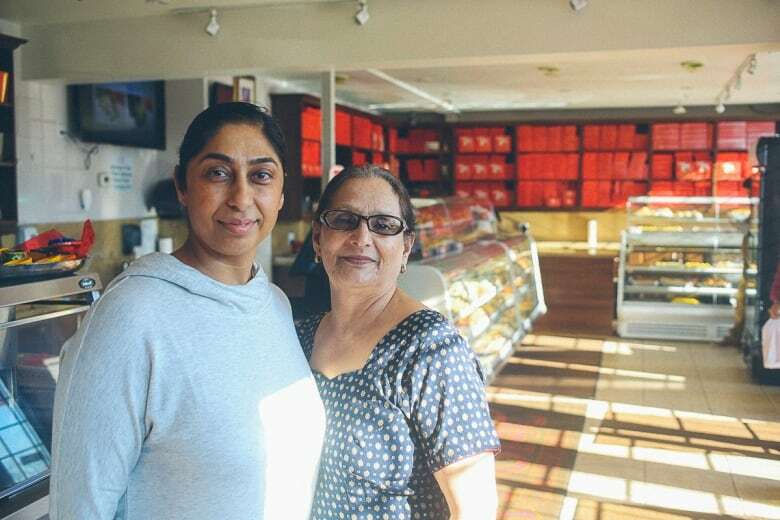 "There were maybe a few people doing it the same way in the late '70s or '80s, but hers was the best," said Raman, Chatha's daughter, of her mother's baked-then-fried samosas. After arriving in Canada, Chatha worked as a seamstress for a short period of time before getting back into the samosa business. She started off by making samosas for parties, family functions and occasionally, some restaurants. In 1997, she opened A-One. Word spread far about her samosas, and quickly, there was a line out the door. Today, the Chathas are still very much hands on. Raman oversees the production in the kitchen almost daily, stuffing and rolling samosas. "It's become one of those operations where you can't stop. 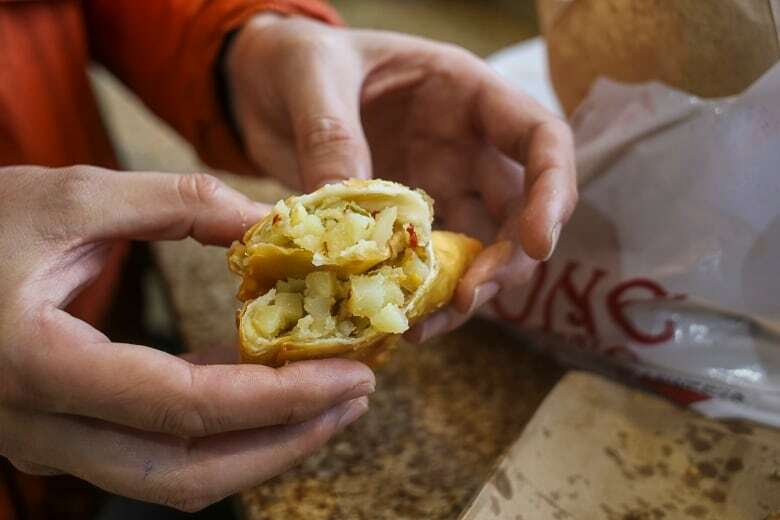 You have to keep making samosas because there's such a demand for Suki's style." And Suki? She still prefers to be in the kitchen and claims to be the fastest samosa maker. "Others can do a few hundred an hour, maybe, but I can do over 400 or 500 an hour." I don't live in Mississauga, but I make it a point to stop by A-One whenever I have the craving for samosas. I have a ritual. First, I order a bowl of hot channa masala (spiced chickpeas) and bhatura (fried bread). After I scarf that down, I'll grab a dozen vegetable samosas for home. The vegetable samosas are my favourite, chunked potatoes tossed with chili and a liberal amount of coriander. A-One Catering is at 7875 Tranmere Dr.